FoodLit's Feel-Good Food : My Type of Xmas Tree... Day 82, 9 To Go..
Local loquats, sweet and sublime. 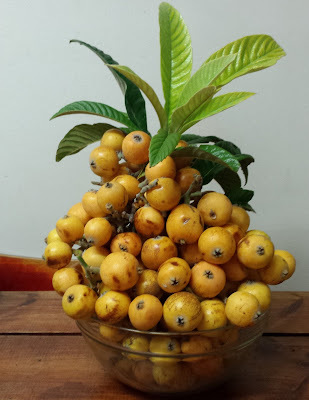 The first stone fruit of the season, loquats abound in my neighbourhood right now and probably in yours. Eyes open and arms outstretched, fellow food lovers. For those who are yet to be acquainted, pick when bright yellow and soft (or a bit sooner if you need to beat the birds). Peel and pop into your mouth, spitting out the three large, brown pips inside. A bit melony, mangoey and perhaps peachy, they're very deserving of your love and attention. Is anyone else sick of all the Christmas marketing yet? Makes you want to run away and live off the grid. 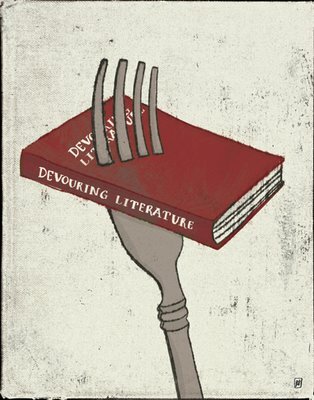 Now, there's an idea.